The independent chip model is an advanced poker strategy that can be utilised in a tournament to establish an idea of your overall risk. Incorporating the use of the independent chip model into your advanced poker strategy is both easy and useful. 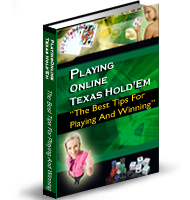 Many players think that extremely advanced poker strategies are hard to use however this one is very simple once you have learnt it. The independent chip model is an advanced poker strategy whereas you calculate a dollar value for each chip. But I thought chips already have dollar values? Well, not really. In a tournament you will get a number of chips and these have values, i.e. 25, 50, 100, 500 and 1000. But these don’t really mean anything they are just placeholders to bet with. You might have only paid $100 entrance fee for the tournament for example. So How Does The ICM Work? What the independent chip model does is use a mathematical model to calculate the players overall equity in a tournament. This can also be used to determine the risk of any bet or series of bets at a pot, and the real value of a pot win. Using the independent chip model you use your stack size – how many chips you have – to determine your likelihood of achieving a result (like 1st, 2nd or 3rd) and then that probability is multiplied by the prize amount for that position. These numbers can be added to gain your overall equity and from this info you can also do additional calculations for bets and pot sizes etc. Is The Independent Chip Model Useful? Although this is an advanced poker strategy, I really think that the independent chip model can be useful in a way. It is not useful at all in respects to critical areas of poker which will have a more direct effect on your own outcome in a tournament. But, it can be useful to get an idea of how much you a really putting on the line or where you really stand in the grand scheme of things. If you have the time and desire then sure, go check out this advanced poker strategy and research the independent chip model. But don’t expect it to miraculously turn you into a great poker player overnight. If anything it will just make you sound more sophisticated to your poker buddies – which is always a good thing!